It's the start of the week plus with my wisdom tooth giving me much pain, some superhero food sure will help. 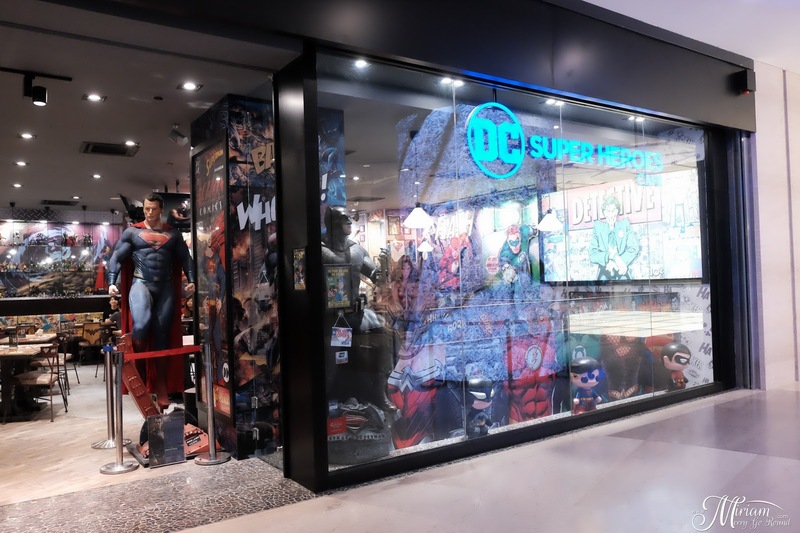 Walking into the cafe, you will be greeted with tons of wall murals and also life sized figurines of characters from DC Comics. 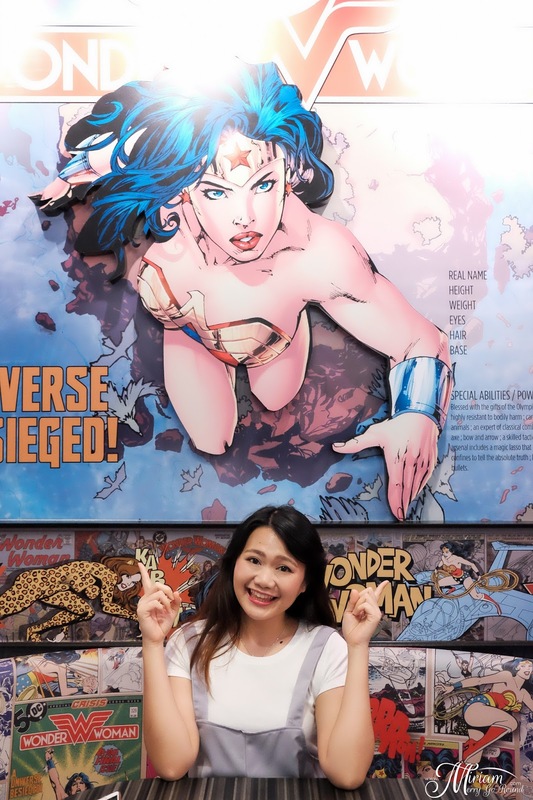 Check out Wonder Woman, The Flash, Green Lantern, Batman and many more! Oh wait, I can't leave out Superman. Each table was well decorated with comic scenes and graffiti art of the characters. Just like all themed cafes, there would be a hit or miss either in decoration of food so let's see if the food is any good. 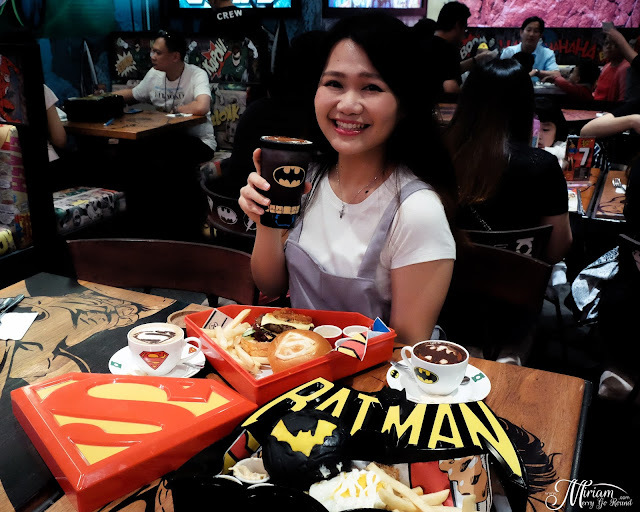 I've been to several themed cafes which well, you are paying for the ambiance and decoration more than the food served. 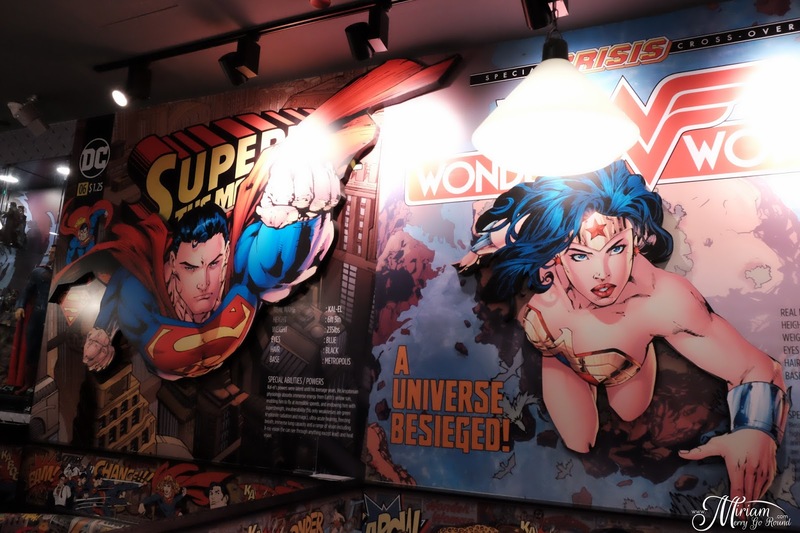 So I was intrigued with what DC Comic Cafe have to offer. 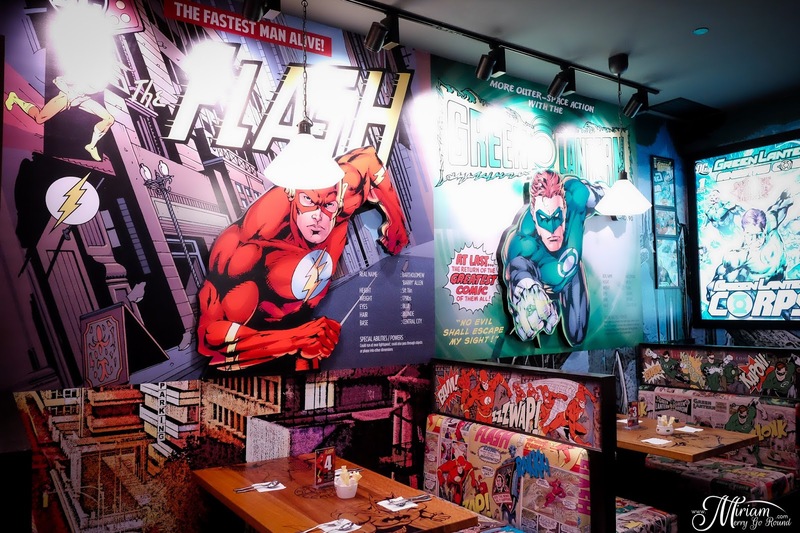 After going through their whole menu which was equally DC Comic inspired, me and my hungry pals decided on several dishes which were not only instaworthy but looked pretty decent for the price. 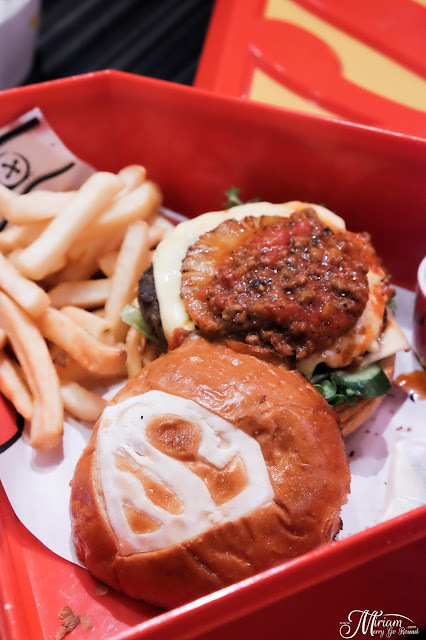 First up, Superman Punch Burger - Homemade beef burger with cheese, pineapple and bolognaise sauce served with fries. 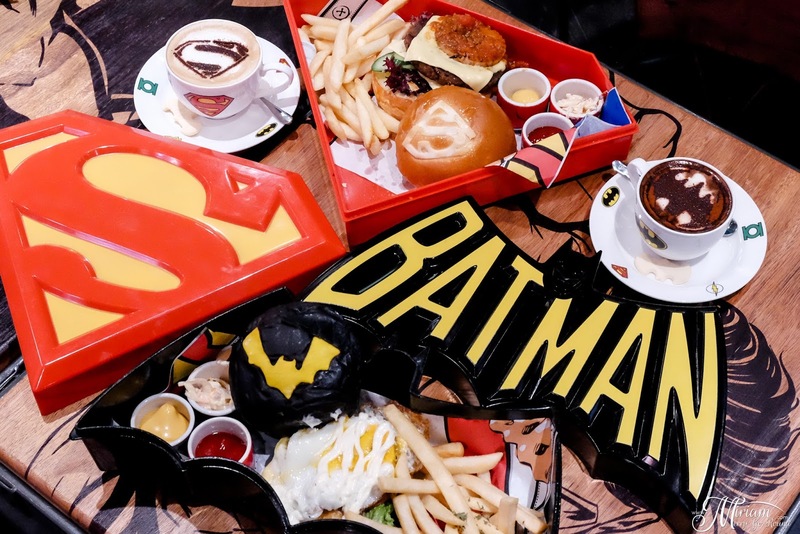 Ok I'll admit, I ordered this because firstly it's a Superman themed dish and secondly it comes in this Superman lunch box which I wanted to cart home. Next just like the movie, we got a Batman set to see which sets fare better. The Batman vs Hawkman set which is also served in a Batman lunch box was an Egg and Turkey Roll Burger served with fries. This set came with a fried egg which would really win if the yolk was still runny. 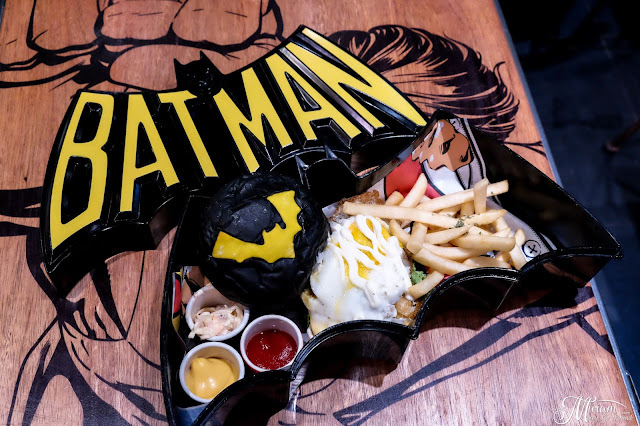 Tastewise, I still prefer my Superman Beef Burger. We also got some drinks (also so DC Comics themed) to match with our meal. Bruce's Top Toffee won my heart with the cup. Like seriously, can I just take the cup back? 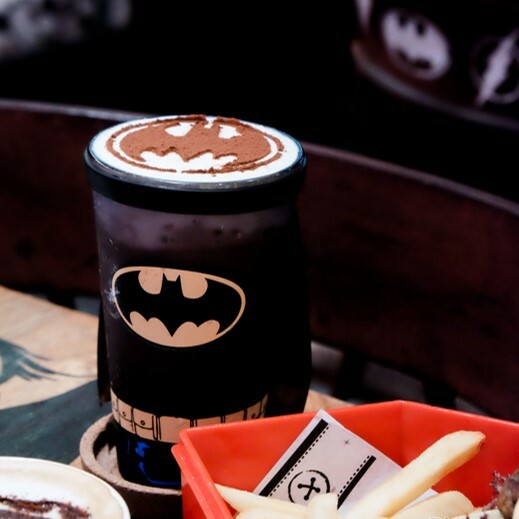 Super cute Batman inspired cup and it even has a cape just like Batman! By the way, I checked their merchandise store just opposite the cafe and it's nearly RM100 for the cup. The Chocolate Toffee Ice Blended was chocolatey, icy and not too sweet which one of my pals finished up the whole glass. One tip: Please do not breathe in or out to strongly because the cocoa powder will just fly! 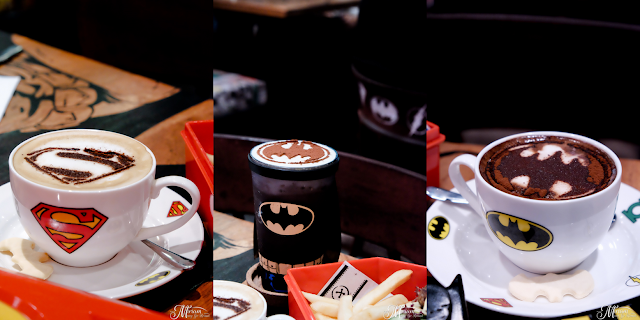 Hot drinks, we got the Do You Bleed Latte (Batman) and the Crunch Time Cappu (Superman). Overall both the latte and cappuccino was well accepted and not bad for a nice cup of coffee. Cafe interior, checked! Food, checked! 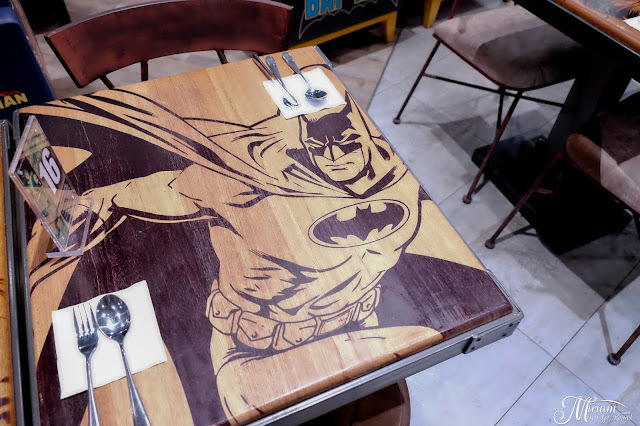 This place is a recommended cafe for me especially if you are a die hard DC Comics Super Heroes fan. 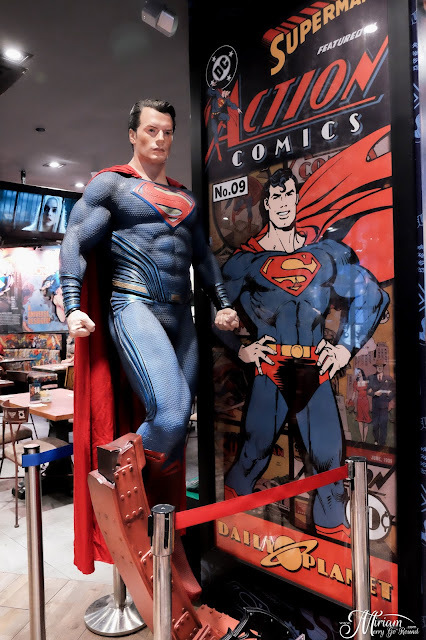 So the next time you are up in Sky Avenue, why not drop by have a cup of coffee or well just take gazillion photos with your favourite Superhero.